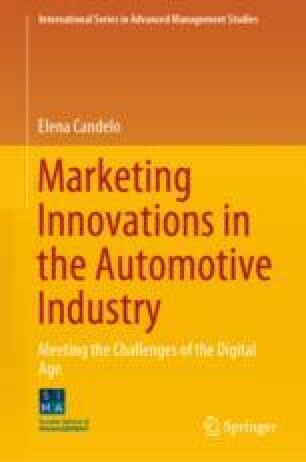 In the 1990s, driven by further changes in technologies and customer expectations, marketing strategies in the car industry achieved another breakthrough. In their pursuit of excellence, some carmakers successfully pioneered the shift towards mass customization. In the early 1990s, two stages of the value chain were partly mixed/blended together: mass production, and mass distribution. This change was driven by three key factors, namely: (1) limits to the mass production process; (2) divisions into social classes, age differences, differences in lifestyle, and inequalities in the distribution of income, which reduced the homogeneity of the markets and drove towards dishomogeneity; and (3) instability of demand. There was a transition from a sellers’ market to a buyers’ one, and from markets “ruled” by sellers to markets “ruled” by buyers. In place of homogeneous markets, standardised products and long product life cycles, a new market structure emerged, consisting of heterogeneous and fragmented markets, a variety of products and shortening product life cycles. The internet significantly increased the possibilities of mass customization. Carmakers were able to put together components and modules as requested by customers at the last minute before delivery. While the main goal of mass production was to develop, produce, and market automobiles at prices low enough “that nearly everyone could afford them”, the main goal of mass customization was to develop, produce, and market affordable automobiles and services so that “nearly everyone would find exactly what they want”.